In the season finale of Kitchen Nightmares, has Chef Ramsay met his match? The culinary master visits another restaurant struggling to keep its doors open. 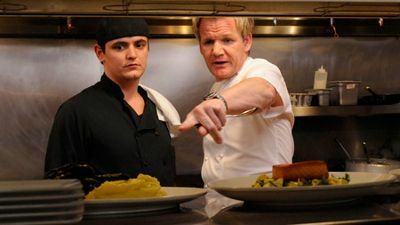 Find out if Ramsay can help pull the establishment from the brink of failure on the season finale of Kitchen Nightmares. Chef Ramsay visits a Cuban restaurant in Brooklyn, NY. Owners Marcelo and Kata, former husband and wife, fight about everything. After moving to Brooklyn and getting married Kata and Marcello wanted to pursue their dream of opening a Cuban Cafe. Seven years ago Kata and Marcelo fell in love, got married and decided to open up a fast food style Cuban cafeteria. Kata and Marcelo are both from Columbia. Chef Ramsay pays a visit to Burger Kitchen in Los Angeles in order to revamp the bland menu and to revive the tired establishment with a fresh look and a renewed vibe fit for the hip Hollywood crowd. Chef Ramsay visits a Lido Di Manhattan Beach in Manhattan Beach, CA. Lisa Hemmat grew up in and around the food service industry and inherited the entrepreneurial spirit from her parents. Shortly after graduating with a business degree from USC Marshall School of Business she secured a loan (with her parents as co-signers) and purchased Lido Di Manhattan in June of 2004, at the ripe old age of 23. Having been left with a strong staff, including a veteran cook in the kitchen, Lisa felt secure and confident in her decision to become the next great Los Angeles restaurateur. Five years later, Lisa is struggling to pay her bills and has come to the harsh realization that she is barely making ends meet. Chef Ramsay gives Lisa a lesson in restaurant business 101. Over the years, Chef Gordon Ramsay has helped numerous restaurant owners get back on their feet by helping them refresh their menus, customer service and business outlook – but once he leaves, do restaurateurs stick with it -- Chef Ramsay heads to Southern California to check up on La Frite in Sherman Oaks, Kingston Café in Pasadena and Capri in Eagle Rock to see firsthand if his advice has changed the restaurants for good. He also visits Harrison, NJ, to find out if the owners of family restaurant Spanish Pavilion have mended their problems outside the kitchen, or if their disagreements are too much for their business to handle. Tune in to see if Chef Ramsay will be pleased with the restaurants’ progress, or will he have to stage yet more dramatic and emotional interventions. 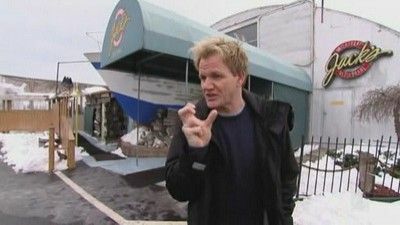 Chef Gordan Ramsey visits an Italian restaurant in Great Neck, New York, that is a half-million dollars in debt, but a confrontation over kitchen cleanliness and the food between Ramsey and the owner leaves the future of the eatery uncertain. 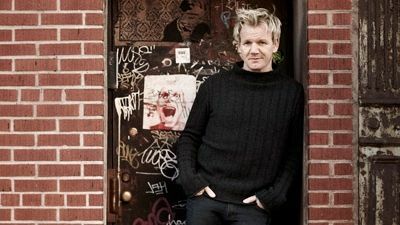 Chef Ramsay is in for a challenge when he heads to Everett, WA, to visit the Prohibition Grille. Professional belly dancer-turned-restaurant owner Rishi is struggling to keep her business afloat and is in desperate need of help. As a result of her lack of prior restaurant experience, Rishi leaves control of the kitchen in the hands of her head chef, who is constantly preoccupied and gives little focus to the restaurant. Constant complaints from customers have Rishi worried, but will she take Chef Ramsay’s advice? 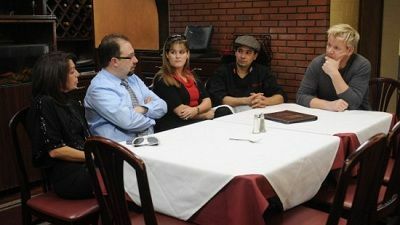 Chef Ramsay visits Fremont, CA, to help out 50-year-old steakhouse and banquet center Spin-A-Yarn. Despite the restaurant's rich history as an old-time hideaway and meeting place, the restaurant's bland menu and outdated decor are long overdue for visual and culinary makeover. 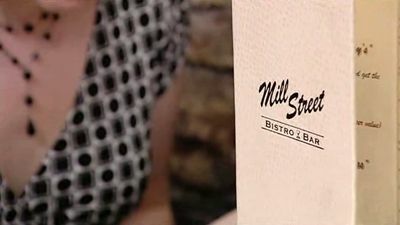 Shocked by the restaurant's inconsistent service and disorganized kitchen staff, Chef Ramsay is put to the test to give the steakhouse a refreshed menu and ambience. Find out if Chef Ramsay succeeds in updating the restaurant's image or if it will remain stuck in its old ways. Philadelphia is known as "The City of Brotherly Love," but one restaurant, the Hot Potato Cafe, is tearing a family apart. Passion, motivation and spirit fueled the restaurant when it was founded two years ago, but all of these mandatory ingredients are now in short supply. 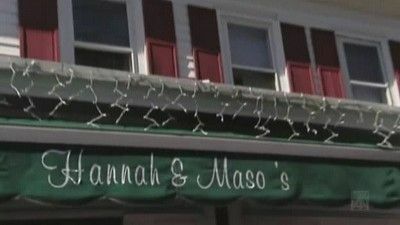 Chef Ramsey heads to Cranbury, NJ, to visit a French bistro named Hannah & Mason, owned by a pair of friends who lack both business experience and motivation. The staff are holding bounced paychecks, but that isn't as bad as what chef Ramsey finds inside the cooler which causes the place to be shut down on Valentine's Day. 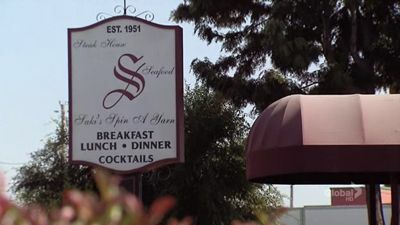 Chef Ramsey heads to St. Clair Shores, Michigan, to visit Jack's Waterfront, which is suffering from a lack of fresh seafood and an inattentive management. 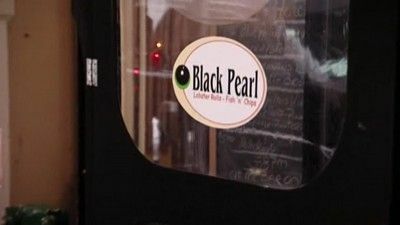 Chef's goal is to make this eatery a year-round money maker, but the general manager's excessive socializing with his patrons may put a roadblock in this plan. Chef Ramsay visits Sushi Ko in Thousand Oaks, Cal., a failing second location of a family-owned eatery. Problems include debt, a breakdown of the family dynamic, and a relative who has lost his passion for cooking. 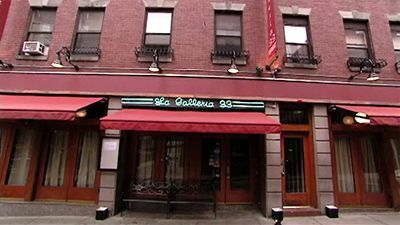 Chef Ramsay goes to Boston's North End to pay a visit to La Galleria 33, opened in 2006 by sisters Rita and Lisa. 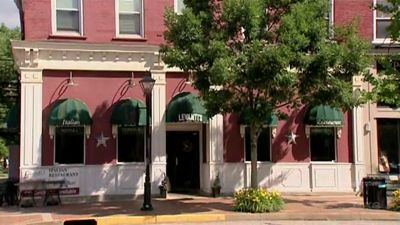 The two siblings grew up in the Italian neighborhood and worked at their father's very successful restaurant, L'Osteria, which was established in 1985. They branched out and opened their own establishment only 100 feet away, hoping to feed off their father's success. But the customers never came. The sisters blame everything from the weather to the tablecloths to the font on the menu. They don't know how to fix their problems because they don't know how to identify them. The employees, however, know exactly what is wrong - Lisa and Rita. They say the sisters treat people badly and talk unprofessionally. Plus Lisa drinks on the job and Rita smokes in the restaurant. They have slipped into complacency about the failing business, but their parents stand to lose everything if La Galleria fails. 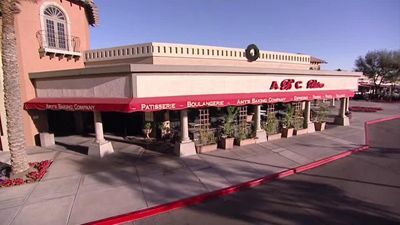 When Chef Ramsay arrives, he's confused by the restaurant's name, dated décor and proximity to their parents' eatery. He also discovers there is an issue with smoking and drinking on the job. Lisa and Rita in turn complain to him about the poor service and the lazy employees. 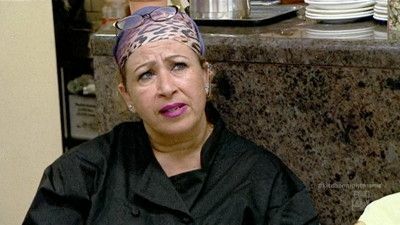 As the icing on the cake, Rita admits that the head chef is her ex-husband, which causes a lot of tension. 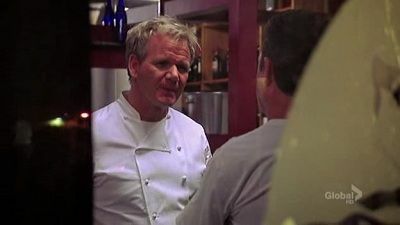 Chef Gordon Ramsey visits a seafood restaurant in New York where three different owners run the kitchen, leading to a lack of consistency in food and service, and one of the owners is a "know-it-all," challenging each of Ramsey's changes. Chef Gordon Ramsay takes on Bazzini Cafe, an Italian restaurant in Ridgewood, NJ, that struggles with slow service, poorly crafted dishes, a lackluster sous chef and a disappointing head chef. Chef Ramsay visits DownCity, a restaurant in Providence, RI. Find out if his attempt to turn the restaurant around will be enough to keep its doors open. 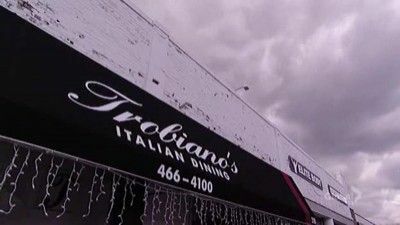 Ramsay travels to Woodland Park, Colo., to save Mangia Mangia, an Italian restaurant saddled with tension between the owner and her staff, and problems with the food, atmosphere and service. 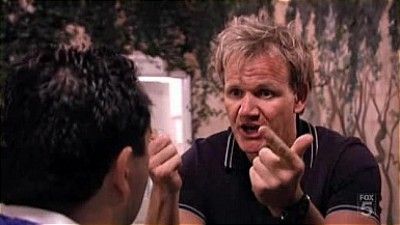 Gordon Ramsay visits a family-run Italian restaurant in Babylon, NY that's being run into the ground by Peter, the hot-tempered manger and co-owner. 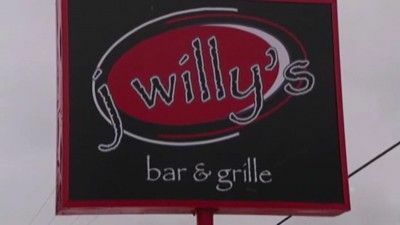 Chef Ramsey heads to South Bend, Ind., and J Willy's Bar & Grille, a business has lost $1.2 million. He gives them a challenge of using fresh ingredients, but the inexperienced chefs become overwhelmed, causing one customer to break down and cry. Gordon goes to Moorpark, CA to assist an obstinate French chef in overcoming an empty restaurant with an off-putting decor. Chef Ramsay travels to sunny South Florida, where he encounters a dreary situation. Le Bistro, a small French restaurant, is barely surviving, and the head chef, Andy, has no idea why. He doesn't believe there is anything wrong with the food, service or dining experience. When Chef Ramsay finds out that he and Chef Andy share similar culinary training, he is in disbelief. Can Ramsay cook up a plan that will get through to the stubborn chef and revive this sinking ship? Chef Ramsay heads to Redondo Beach, Calif., to try and save Zayna Flaming Grill, a Mediterranean restaurant plagued by substandard food and owners playing the blame game.